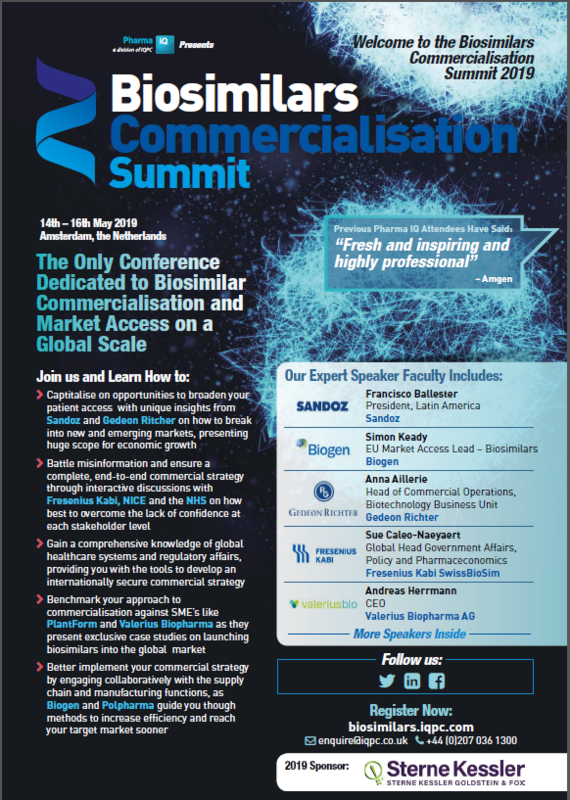 The inaugural Biosimilars Commercialisation Summit is the only forum to dive deep into commercial strategy on a global level. Over 3 days of expert case-study presentations and interactive sessions this forum will enable you to tailor your commercial strategy to both established and emerging markets. Taking into consideration global regulations and healthcare systems, methods to boost stakeholder confidence and pricing, this summit will give you the tools to ensure your biosimilar survives in this fierce market.